While visiting Yellowstone National Park last summer and on the same grey and rainy day we toured West Thumb Geyser Basin, my friends and I also drove to and explored some of the front country area around Grand Canyon of the Yellowstone River. We checked out several spots near the canyon area but the view of Lower Falls from Artist Point was my favorite. Many artists have visited Yellowstone’s Lower Falls over the years. In fact the Hayden Survey in the early 1880’s included both photographer William Henry Jackson, who became famous for his groundbreaking images of the expanding American West, as well as Thomas Moran, whose paintings of the Yellowstone country helped pave the way to it’s protection. No wonder this prominent viewpoint is called Artist Point! 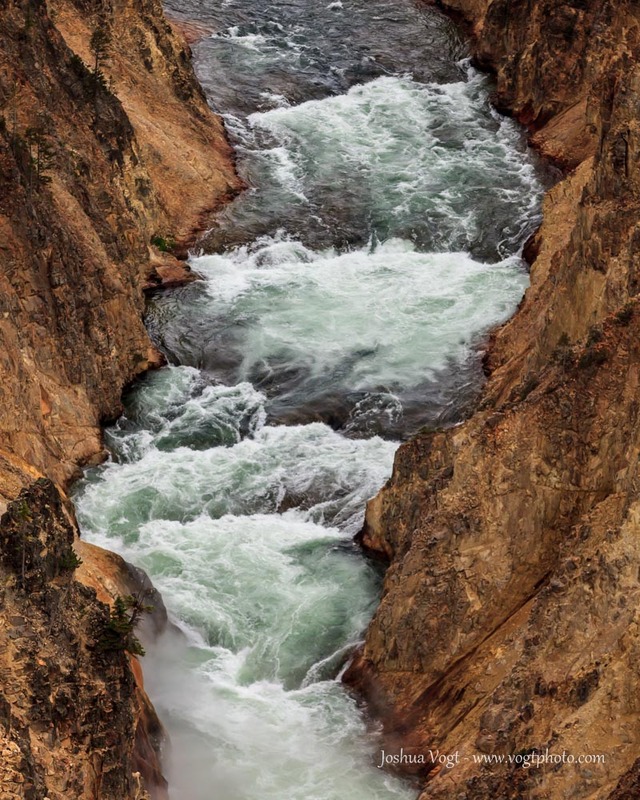 The canyon is one thousand feet deep in some places and the lower falls cascade an incredible 308′ into the canyon. 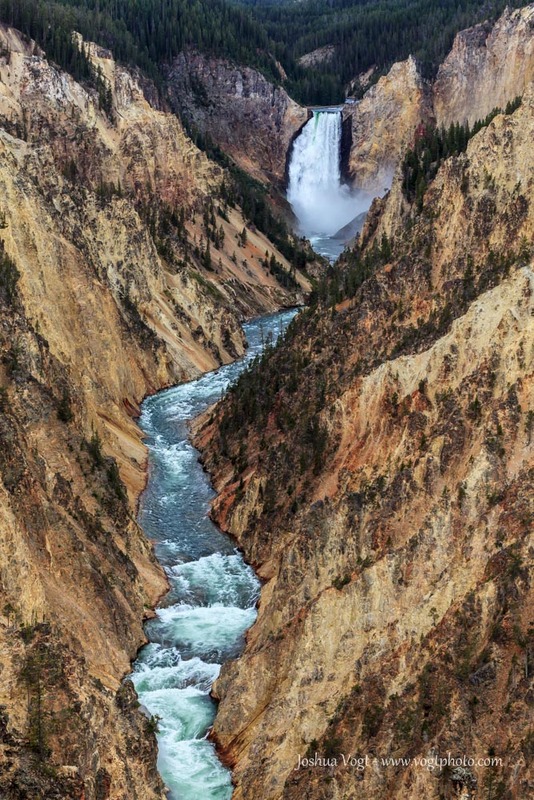 Amazingly, at 308′ of drop, Lower Falls are not the tallest waterfall in Yellowstone. 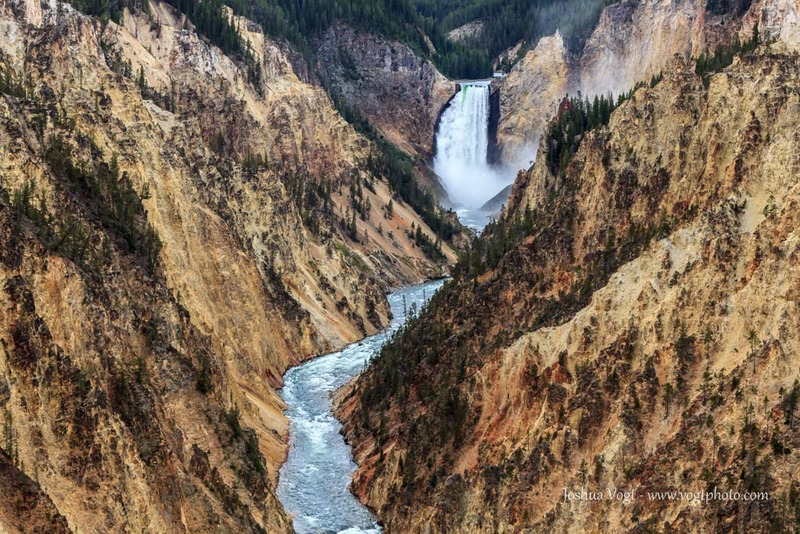 It is however, the largest waterfall by volume not only in Yellowstone but the American Rockies. Don’t let the precipitous drop you see in my photos deter you; the area is well marked and safe. These views are but a short and easy stroll from the parking area and can be enjoyed by anybody!